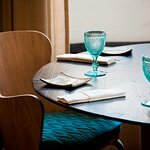 Restaurante Casa de Cha da Boa Nova is not available through our online partner for your requested time. 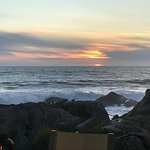 We were there in June 2018 and finally I can write about our experience. From the moment they forgot we were on the terrace having champagne marveling at the architecture and view we should have known this was not our night. 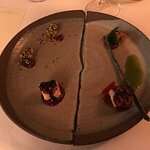 Very elaborate tasting menu and wine paring but not the staff the serve it. Dinner unfortunately lasted from 7:30PM - 12:30AM. Severely understaffed. Our waiter was training another waiter. Staff was sweating bullets with wet shirts. A true dining nightmare. Took over 30 minutes to get our check and finally got up and demanded the check. The woman at the front desk did nothing to help the wait staff that was struggling to take care of the customers. 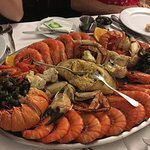 I just returned from a 12 day trip to Portugal. 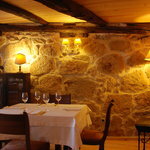 Restaurante Casa de Cha da Boa Nova was highly recommend to me by a friend a week prior to my departure. 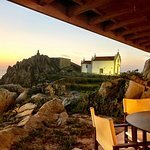 It's an incredibly unique space - looks like a Frank Lloyd Wright house hugging the rugged Atlantic Coast outside of Porto. Unfortunately the restaurant doesn't open until 8 PM and being mid-October, the sun had set already when we arrived, so there really wasn't a view. This is a restaurant to be enjoyed during the summer when you can have a view as that's at least half the reason to go. 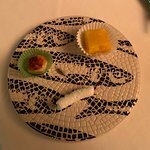 The menu is a tasting menu and you can pick from 4 or 7 courses. 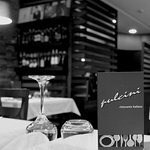 The staff is incredibly knowledgeable and helpful and the food is very, very good. My only complaint is that the portions were minuscule. You truly only get tastes of each course, and I'm an eater so that was a bit of a negative in my book. That being said, there are several "surprises from the chef" and wonderful bread, wine list, etc. So to wrap it up - ambiance and service gets an A+ and food was very good but not extraordinary. Definitely go over the summer. 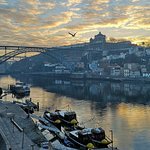 Worth visiting off season if you want an interesting evening outside of Porto. 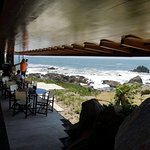 This restaurant sits perched on the side of the rocks looking out over the Atlantic. It’s a gorgeous setting-but the real draw is the food and service. Unbelievably good. 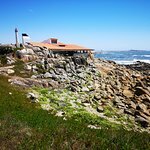 The place itself is an architectural gem with a beautiful sea view, and our table service was excellent - we were even greeted warmly by chef Rui Paula himself. 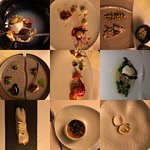 I had the smaller 4-course menu, and the food was gorgeously presented, but it really didn’t surprise or astound my palate. 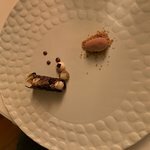 Had higher expectations for an expensive Michelin starred restaurant. Maybe go for a drink and take in the sunset view. 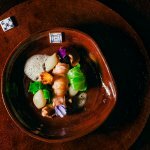 Been to Restaurante Casa de Cha da Boa Nova? Share your experiences!